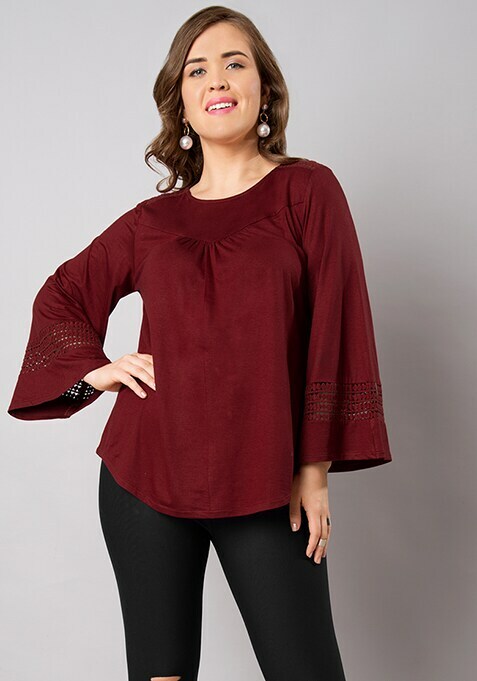 Express your uniqueness in this beautiful oxblood jersey top. Featuring crochet insert on the shoulders and sleeves, this top is a comfortable summer wear. Work It: Looks smart when paired with skinny jeans and caged sandals.